I just saw the movie "The Adjustment Bureau" and started thinking: Who is making the adjustments in the life of Wyclef Jean... Is the Haitian Star falling from grace? It is very wrong to ask the question "why would a Haitian move back to Haiti?" but I am hearing rumors about some of the reasons why Wyclef would do it. What is it with the New York Post and Wyclef Jean? About two weeks ago, the New York Post released a damaging article about Wyclef and they made it look like Wyclef is playing with YELE money like it's MONOPOLY money. Since then, Articles have been pouring on the web calling his YELE Haiti foundation a family business. And Wyclef has been playing defense... saying "Se pa vre... It's not true..."
It is wrong to have a non profit organization and award $353,983 in contracts to a business that belongs to your brother in law? Is it wrong to pay $1 million of charity money to a bogus company that doesn't exist? These are the allegations against Wyclef and his Yele foundation. I don't really see a problem with hiring a company that happens to belong to a family or friend but then again... I am not collecting money on behalf of poor Haitian people; I don't know the rules... Rules or Not... That part about a million dollars paid to a bogus company in Florida... Now that's a... Wi pip... How should I put it? Some of us Haitians see Wyclef as God sent. Personally, I love the guy, what can I say? Some of us believe that Wyclef the most influential Haitian on the planet earth. Most of us appreciates who Wyclef is, what Wyclef represents, and the fact that Wyclef Jean waived our Haitian flag in places none of us ever thought possible. And... Some of us thinks he is an A**hole... LOL... Don't get me wrong, a man in my position gets to hear both sides of the story... There are some people out there who believe that Wyclef is not being ALL that he can be... That's all I'm gonna say about that. QUESTION: What do you think about Wyclef Jean? What do you think about the allegations against him about his misuse of YELE Charity money? First of all I like to thank you for keeping us interested in Haiti. Let's get the Clef story straight, how he want about to give his family member the cash was wrong, but his hard work brought the money to his position. Without Clef acknowledge Haiti all over the world, what would we have to talk about now days. We would still be poor Haiti reachout for help hands. 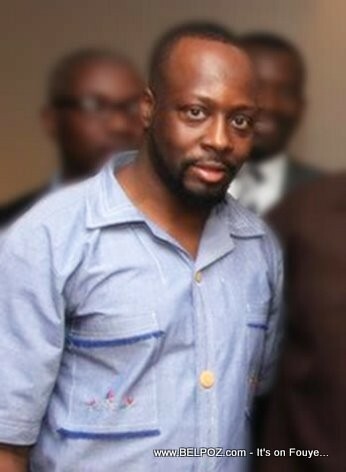 I think that Wyclef is a proud haitian, and deserve to be commanded for weakness for Haiti. I want to see proofs, and if he is guilty let's take him to court. You are innocent until proven guilty in this country, and it is the opposite in Haiti. He can sue for libel, and defamation without proofs. Clef lost my endorsement when he opted to run for President. Listen, as an American born in the USA, he should be all too familiar with the repercussions of being in the limelight: be it positive or negative. Now having said that, why the hell would be grant special priviledges to a company that he is affiliated with? I haven't had time to objectively review both sides of the story. But if those allegations turn out to be true, I think that would be very very very sad for Wyclef Jean and us, Haitians, in general. You may like or dislike the guy, but you can forget the fact that he has done some incredible things in representing Haiti everywhere he goes. Unlike some of us, who came to the state and act like we are not Haitians and don't even speak Creole (yes I have family members like that); Clef has never refuted his background. Well there is always two sides to every story, so before we blurt out alligations or accuse anyone we need to investigate it troughout. Yes everyone does things wrong and when you are a Star your wrongs get publizied majorly. He could have and he could have not who knows the real deal.